Basic function generators generally can generate basic periodic waveforms such as sine wave, square wave, triangle wave, ramp wave, pulse wave and so on. Modern function generators nowadays have a very important feature called modulation. With the advent of radio wave telegraphy in the 19th century by Guglielmo Marconi and later the wide band FM radio in the 20th century by Edwin Howard Armstrong, radio waves are generally modulated by its carrier waves for efficient, long-range transmissions. Here in this blog, let us explore some advance modulation features on a modern function generator. Amplitude modulation by a carrier sine wave is by far the most common in terms of usage. Figure 1 shows the graphical settings of a function generator modulated by sine wave with AM Depth of 100% and AM Frequency of 100 Hz. The original data sine wave has a frequency of 1 kHz. Modern function generators can do more than just generate sine wave as carrier signal for waveform modulation. Figure 2 shows some examples of other types of signals that are used as carrier signals for waveform modulations (other than sine wave). Figure 2. Various carrier signals used for waveform modulations (other than sine wave). Frequency modulation has been the best-known analog modulation method for radio broadcasting for more than half a century. Its applications have grown into video broadcasting, critical medical monitoring systems, radar and more. Here is an example of how to setup a function generator to simulate FM signal. Figure 3 above shows frequency modulation on a 1 kHz sine wave. The modulation method used is also a sine wave with FM frequency of 10 Hz. Its peak frequency deviation is 100 Hz. Phase modulation is widely used in digital data transmissions through digital modulation techniques such as PSK (Phase-shift keying), BPSK (Binary phase-shift keying), QPSK (Quadrature phase-shift keying) and more. It is used in Wi-Fi, GSM and satellite broadcasting transmissions. Here is an example of how to setup a function generator to simulate PM signal. Figure 4 above shows phase modulation on a 1 kHz sine wave. The modulation signal used is also a sine wave with PM frequency of 200 Hz. Its phase deviation is 180°. Here is an example of how to setup a function generator to simulate an FSK signal. Figure 5 above shows frequency-shift keying modulation on a 1 kHz carrier sine wave. The hop (or alternate) frequency is set at 100 Hz. The FSK rate is set at 10 Hz, which is the rate at which output frequency "shifts" between the carrier and hop frequency. Here is an example of how to setup a function generator to simulate BPSK signal. Figure 6 above shows binary phase-shift keying modulation on a 1 kHz carrier sine wave. The BPSK rate is the rate at which the output phase "shifts" between the carrier and offset phase. The BPSK phase setting in this case is 180° (phase shift in degrees). Typically, you have the option to set the phase shift from 0° to 360°. Figure 7. Sum modulation function generator setup – adding noise into sine wave carrier signal. Figure above shows how we can use sum modulation to add measured noise to the carrier signal. This figure shows noise with an amplitude of 30% (referencing to carrier amplitude) and a noise bandwidth of 100 kHz was added to the sine wave carrier signal. The Keysight 33600A series function generator accepts both internal and external modulation sources. On a two-channel instrument you can modulate one channel with the other. When using internal source as modulation, we can select sine, square, triangle, up ramp, down ramp, noise, PRBS and arbitrary waveforms as source of modulation. If this blog helps provide you with more insight into generating modulated signals, please give it a ‘like’. If you have further questions on this topic, you can always reply to this blog. Traditionally, digital multimeters (DMMs) have been single-measurement instruments. When engineers want to measure more than one parameter on their signal, they need to have two multimeters to measure two different measurements at the same time. This is not time and cost efficient. With the right architecture and design, DMMs can make multiple measurements. This advanced feature can help you save cost and analysis time and finish your analysis faster! Secondary measurements are defined as auxiliary measurements that augment information provided by a main primary measurement function. Depending on the function, you can measure complementary data that traditionally would have taken two different operations to acquire. The table below illustrates all secondary measurement capabilities of the Keysight’s Truevolt DMMs. An example of a common secondary measurement would be the ability to measure the frequency of an AC signal, as shown in Figure 1. Figure 1. AC voltage with frequency. The secondary measurement provides more information than is possible with other digital multimeters because of the advanced secondary features in Keysight’s 34465A and 34470A DMMs. As an example, Figure 2 shows the primary measurement of DC voltage (DCV) with a secondary measurement of AC voltage (ACV). This is an especially important measurement if your signal has both an AC and DC component. Figure 2. DC voltage (primary) and AC voltage (secondary) measurements. In DCV mode, there are two additional secondary measurements that can be made to provide insight into your signal: Peak and Pre-Math. The Peak measurement, as shown in Figure 3, keeps track of the minimum and maximum DCV readings read by the DMM. Figure 3. Peak measurement of DCV. The Pre-Math is a very valuable measurement because it allows you to see modified readings and raw readings in one screen (Figure 4). You can also modify your primary display by applying useful math functions to your data (e.g., a null value or scaling) or filtering your data (Figure 5). See Adding Math Enables Faster Analysis section for more information on applying a math function. Once you have applied the desired math function, the secondary display will display the raw reading without the math. This is useful for determining if the applied math is correct and if the readings are within the expected range. Figure 5. A with the null value applied with the raw measurement on the secondary display. You have seen the benefits of the secondary measurement capability. Below you will see how to do this without changing the instrument’s configuration. A test engineer wants to monitor the temperature inside of an environmental chamber and needs a high level of confidence that the measurements are accurate. A 34465A DMM is selected due to its ability to log data and provide simple trend charts. A 5-KΩ NTC thermistor is used to spot check for accuracy. The engineer notices that the thermistor has a temperature error of a few degrees. To understand the error, the secondary display on the Truevolt DMM is turned on and temperature and resistor readings are read at the same time. According to the datasheet for the thermistor, it should read 25 ºC at 5 KΩ. The engineer’s probe is put inside of a calibrated chamber set to 27 ºC, but the probe reads 25 ºC with a 5-KΩ resistance reading, a two-degree error. After a bit of characterization, the engineer decides that he can simply add an offset value to adjust for the offset of his thermistor. A system designed to apply a linear force to a small structure can provide an oscillating force with an AC signal and a constant force with a DC signal. The system designer wants to keep track of both signals concurrently to characterize how much force is being applied. Using a Truevolt DMM with its ability to make secondary measurements, he can read both the DC and AC components of his control signal at the same time. Advanced dual-screen measurements not only allow you to get more information concurrently, they also allow you to check your raw data compared to your adjusted measurements. This saves you measurement time. To learn more, download the Simultaneous Measurements with a Digital Multimeter application brief. When you hear the word “synchronize,” you might think of synchronized swimming. Or, perhaps, synchronizing your watches. Well, we are talking about the same thing related to electronic signaling phase synchronization. For example, consider a group of synchronized swimmers that are swimming backstrokes at the same rate. The number of backstrokes per second is analogous to signal frequency. If their hand strokes are all perfectly timed, we can say they are phase synchronized. Clocks and watches are also phase aligned if their ‘second’ hands are in synch. Today, we’ll look at what phase synchronization is from an electronic signaling perspective and how to easily generate phase synchronized electronic signals with a function generator. We’ll also look at some applications where you need two-phase synchronized signals. Not all function generators are the same. Some function generators require many steps to phase synchronize multiple channels and may go out of synch easily when changes are made to the signals. So, what is phase synchronization, and how do you set it up with a function generator? Let us take an example of two periodic sinewave signals. In a single periodic cycle, a sinewave will oscillate from 0° to 359°. After that, it will restart at 0°. See Figure 1. Figure 1. Sinusoidal signal plotted in degree angle. Figure 2 below shows two sinewaves (yellow and dark green waves) that are phase synchronized. The light green wave is 90° angle phase shifted from the dark green wave and yellow wave. Figure 2. Two signals that are phase synchronized and another signal with 90° phase difference. Let’s look at how to phase synchronize two waveforms. For this example, we will use Keysight’s 33600A Trueform function generator. During pre-setup, I have already selected 3kHz and 100mV sinewaves for both channels via the Waveforms and Parameters menu buttons. Like most function generators, setting up two outputs doesn’t mean they are phase synchronized. To synchronize your signals, select “Phase” under the Parameters menu and then select “Sync Internal.” Now, both channel waveforms will automatically phase synchronize. Figure 3. Select “Sync Internal” to automatically synchronize two channels. When testing, you may want to intentionally set a phase difference between the two output waveforms. The Trueform function generators allows you to set the phase difference in degree angle, in radians or a phase offset in time. All you need to do is simply select “Phase” under the Parameters menu button, and enter your phase angle. Another way to create two identical, phase synchronized waveforms is tracking mode. Tracking mode is a simple way to make both outputs identical. To set up tracking mode, you first choose your desired waveform. In this case, we’ll use the same square wave with 3 kHz frequency and 100 mV on Channel 1. Then, select Dual Channel operation by pressing the Channel 1 Output button, and turn on the Tracking mode (see Figure 4). Figure 4. Identical phase synchronized channel output settings. The output of both Channels from the Trueform function generator are now two identical phase synchronized square waves with 3 kHz frequency and 100 mV amplitude, as shown in Figure 5. Figure 5. Two identical phase synchronized waveforms (Phase 0° highlighted in red box). What else can I do with my Trueform function generator? Trueform function generator allows you to change the frequency or amplitude of one of your waveform outputs without losing phase synchronization with your other waveform. This helps reduce complexity of simulating mechanical gear systems with fixed ratios and always requires phase synchronization. AC inductive motors also require phase synchronization of sinusoidal waveforms. The example in Figure 4 shows how to create two identical phase synchronized waveforms. Additionally, you can also create two identical but complementary (opposite amplitude) waveforms by selecting the “Inverted” option. Two identical but complementary (opposite amplitude) waveforms that are phase synchronized can be combined to simulate differential output signal. Sometimes, you need to intentionally set a phase offset between your two waveforms for testing. Here is one example: If you have a custom pair of IQ signals, you will want to keep a 90° phase angle relationship between your I and Q channels. To accomplish this, you simply set the signals to start at the same time and then load both custom signals onto Channels 1 and 2, respectively. Finally, go to the parameters menu and press SYNC ARBS button. Now you know how to phase synchronize two waveforms together to enable you to quickly simulate signals and test your devices or systems. Keysight’s waveform generators are the ideal solution for this type of analysis. It simplifies setup, leaving you more time to run actual testing. The signal generation process has never been simpler, quicker, and less frustrating. To learn more about phase synchronizing two waveforms with a waveform generator, check out the “Effortlessly Couple or Synchronize Two Signals on a Waveform Generator” application brief. 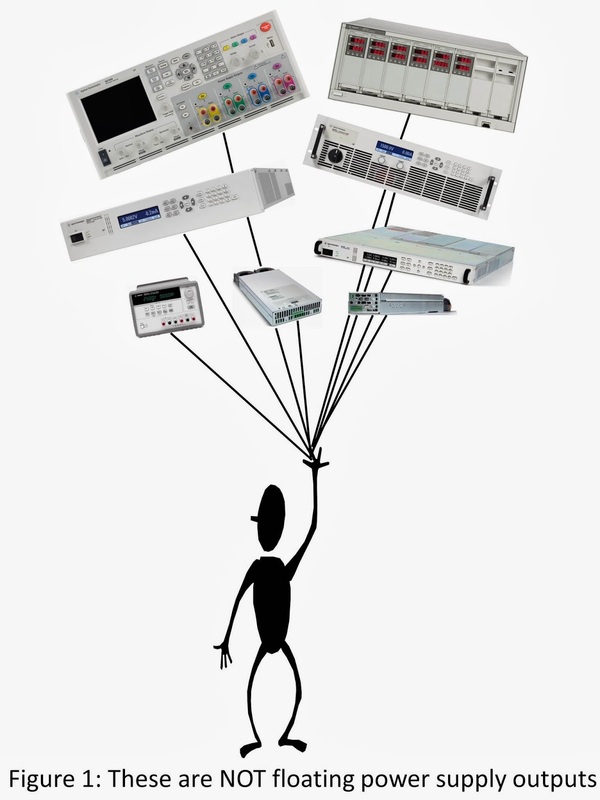 Learn more about Keysight’s Trueform Function Generators on Keysight.com. Does My Power Supply Have Multiple Range Output? During the last couple of decades of technology evolution, we’ve seen how electrical and electronic design platforms have product cycles shortened to three to five years. Measurement instruments need to catch up to fast-moving innovation and technology advancements, or they will quickly become redundant. Mobile device chargers have evolved from an output of 5 V to variable voltage outputs of 5 V, 9 V, or even 12 V for fast charging. For high-power application, electrification of vehicles no longer uses 12 V or 42 V. Voltages now range from tens of volts to power air-conditioning systems and other car electronics to a few hundred volts to drive the powertrain. These demands require a power supply that is equipped with multiple output ranges. In this blog, we are going to discuss the types of power supply output ranges available in the market and why they are important. Let’s start the discussion by understanding a power supply characteristic. A power supply output characteristic shows the borders of an area containing all valid voltage and current combinations for that particular output. Any voltage-current combination that is inside the output characteristic is a valid operating point for that power supply. There are three main types of power supply output characteristics: rectangular, multiple-range, and auto ranging. The rectangular output characteristic is the most common. It’s not surprising to see a rectangle shape power supply output characteristic on a voltage-current graph (see Figure 1). Maximum power is produced at a single point coincident with the maximum voltage and maximum current values. For example, a 20 V, 5 A, 100 W power supply has a rectangular output characteristic. The voltage can be set to any value from 0 to 20 V, and the current can be set to any value from 0 to 5 A. Since 20 V x 5 A = 100 W, there is a singular maximum power point that occurs at the maximum voltage and current settings. Figure 1. Rectangular output characteristic. When shown on a voltage-current graph, a multiple-range output characteristic looks like several overlapping rectangular output characteristics. Consequently, its maximum power point occurs at multiple voltage-current combinations. Figure 2 shows an example of a multiple-range output characteristic with two ranges, also known as a dual-range output characteristic. A power supply with this type of output characteristic has extended output range capabilities when compared to a power supply with a rectangular output characteristic. It can cover more voltage-current combinations without the additional expense, size, and weight of a power supply of higher power. So, even though you can set voltages up to Vmax and currents up to Imax, the combination Vmax/Imax is not a valid operating point. That point is beyond the power capability of the power supply, and it is outside the operating characteristic. Figure 2. Dual-range output characteristic. When shown on a voltage-current graph, an autoranging output characteristic looks like an infinite number of overlapping rectangular output characteristics. A constant power curve (V = P / I = K / I, a hyperbola) connects Pmax occurring at (I1, Vmax) with Pmax occurring at (Imax, V1). See Figure 3. Figure 3. Autoranging output characteristics. An autoranger is a power supply that has an autoranging output characteristic. While an autoranger can produce voltage Vmax and current Imax, it cannot produce them at the same time. For example, Keysight N6755A has maximum ratings of 20 V, 50 A, 500 W. You can tell it does not have a rectangular output characteristic since Vmax x Imax (= 1000 W) is not equal to Pmax (500 W). So, you can’t get 20 V and 50 A out at the same time. You can’t tell just from the ratings if the output characteristic is multiple-range or autoranging, but a quick look at the documentation reveals that the N6755A is an autoranger. Figure 4 shows its output characteristic. Figure 4. N6755A output characteristic. The device under test (DUT) requires a wide range of input voltages and currents, all at roughly the same power level. For example, at maximum power out, a DC/DC converter with a nominal input voltage of 24 V consumes a relatively constant power even though its input voltage can vary from 14 V to 40 V.
During testing, this wide range of input voltages creates a correspondingly wide range of input currents even though the power is not changing much. There are a variety of different DUTs of similar power consumption but different voltage and current requirements. Again, different DC/DC converters in the same power family can have nominal input voltages of 12 V, 24 V, or 48 V, resulting in input voltages as low as 9 V (requires a large current) and as high as 72 V (requires a small current). The large voltage and current are both needed, but not at the same time. A known change is coming for the DC input requirements without a corresponding change in input power. For example, the input voltage on automotive accessories could be changing from 12 V nominal to 42 V nominal, but the input power requirements will not necessarily change. Extra margin on input voltage and current is needed, especially if future test changes are anticipated, but the details are not presently known. We have learned that an auto ranging power supply has many great advantages over single range and dual range power supplies if you plan to use your power supply in a variety of DUT testing. Aside from saving space and the cost of using multiple units, it also provides future proof to your test system if your DUT design changes again. For more information on tips that help your power testing, download the 10 Practical Tips to Help Your Power Testing and Analysis application note. Measuring inrush current is always interesting. In some devices, inrush current can be surprisingly high (10x or higher than their steady current). Excessive inrush current can damage components and pc boards designed for lower steady-state currents. To avoid damage, many devices include a protection circuit to limit the inrush current. Typically, large inrush current lasts for a few cycles before returning to a steady-state current. Inrush current is measured as a peak current and is useful for sizing fuses or designing additional protection circuitry. Figure 1. An inrush current of an inductive load. It is also important to consider what phase the AC voltage is at when it is applied to the DUT. The turn-on phase can significantly affect the inrush current. A couple of voltage waveforms with different turn-on phases are provided below. Figure 2. Various turn-on phases of an AC voltage. Left 0 degrees, middle 30 degrees, and right 180 degrees. When using a mechanical switch, you have no control over the turn-on phase. The device’s inrush current will be completely unpredictable since it is dependent on the phase of the AC voltage. To control the voltage turn-on phase and thus predict the inrush current, you can use Keysight’s AC6801B AC source. A peak hold measurement determines the inrush current while a peak measurement is used for steady-state current. Figure 3. Current waveform with peak hold and steady state peak current. Figure 4. AC6801B AC source measurement panel displaying AC current peak, peak hold, and rms. Most electronics contain switching power supplies as they are incredibly efficient. The test setup below tests an external switching power supply with an AC source and a 30 W load. Figure 5. Test setup to measure the inrush current of the 12 VDC supply. Figure 6. The steady state 2.26 A peak current drawn from the AC source. A series of measurements are made to determine the maximum inrush current. The first measurement uses a 0-degrees turn-on phase, and the second uses 10 degrees. Each subsequent measurement uses a 10-degree higher turn-on phase. Configuring the AC source for inrush current measurements is a two-step process. 1) Setting the turn-on phase from the front panel of the AC source. 2) Clear the peak hold measurement from the front panel. The 12 VDC power supply output will turn on 1.3 seconds after the AC power is applied. Only after turning on its output will it be drawing steady state current. In Figure 7, two different time scales are used to display the inrush current. The screen capture on the left shows the voltage phase and the inrush current. The screen capture on the right shows the inrush current and the 1.3 second delay before the steady-state current. Figure 7. The voltage applied to a 12VDC power supply and the current it draws with two different time scales is shown. You can see the details of the inrush current spike on the left. On the right, after 1.3 seconds, the power supply turns on and pulls steady-state current. Graphing the inrush measurements versus phase for the 12 VDC power supply reveals a trend. The inrush currents are lower when the voltage is turned on with a phase of 0 and 180 degrees. This is because at a phase of zero and 180 degrees, the voltage is turning on at zero volts. Figure 8. 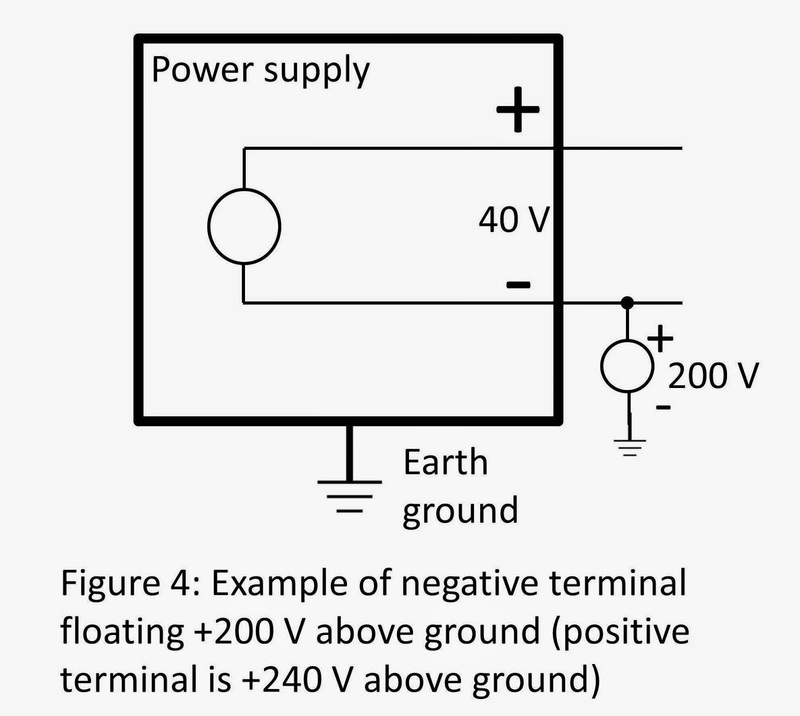 Inrush current for a capacitive device, 12 VDC power supply vs. phase. Devices with capacitive input will have low inrush currents when the voltage is turned on at zero volts. At zero volts a sinewave has its maximum rate of change, this change causes an inductive load to create their largest inrush current. An inductive load will have its maximum inrush current at zero and 180-degrees. Figure 9. A simulated graph of inrush current vs. phase for an inductive load. Inrush current can be limited by designing a device with lower reactance. An example is lower capacitance or lower inductance. Another possibility is to turn on a small part of the device and synchronize the rest of the turn-on to the AC line, taking advantage of the phase with the lowest inrush. The 12 VDC power supply tested delayed the turn on of its output. A third possibility is adding a negative temperature coefficient (NTC) current limiting device to your design. The NTC device initially has a high impedance, which reduces the inrush current. As the NTC device warms up, its impedance is reduced. The steady-state current is not affected by the NTC. Knowing the steady-state current and maximum inrush current helps in selecting the right NTC. Figure 10. Using an NTC to reduce the inrush current into capacitive device. To accurately measure the maximum inrush current, it is essential to consider the turn on phase. The design of the device will affect the phase at which the maximum inrush current occurs. Some devices will have to be designed to limit the inrush current. 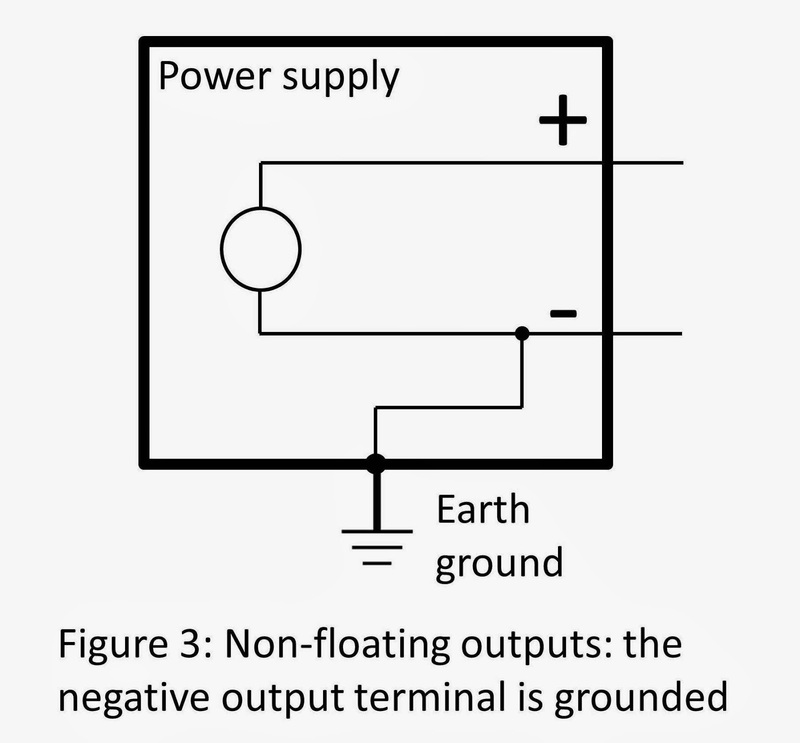 Adding an NTC current limiting device to your design will limit inrush current. Several measurements need to be made to select the right NTC. An AC6801B AC source can be used to characterize the inrush current of a device quickly, helping you design a device with inrush current that you and your customers can trust. Most basic bench function generators have only one or two output channels. In some cases, you may need more than two channels. Due to this need, many test engineers are forced to buy very expensive multichannel waveform generators. In this blog, we will look at how to easily time-synchronize multiple basic function generators together without the hassle of using external synchronizing trigger boxes or tedious programming. This mitigates the need to purchase expensive multichannel waveform generators. There are many applications that require multichannel, time-synchronized waveforms. For example, some devices calibrate with synchronized pulses of varying pulse widths. You can easily simulate these signals using multiple basic function generators. Other applications could include simulating optocoupler decoder signals, multichannel Pulse Width Modulation (PWM) motor controllers, and so on. Today, we’re going to look at how to display four time-synchronized output waveforms using two 2-channel function generators (Keysight 33612A). For our test, we want to generate four 3 kHz pulse trains at 1Vpp. And we want the pulse widths of the four channels to start off at 100 µs and increase by 10 µs for each channel. So, the fourth channel pulse width will be 130 µs. The first thing to do is wire-configure the rear of the two function generators, as shown in Figure 1. Make one of the function generator’s 10 MHz frequency timebase be the reference for the other function generator. Connect the 10 MHz clock out of the reference function generator to the 10 MHz clock in of the other function generator. (Note that you can fan out the reference clock up to four Trueform function generators). Figure 1. Rear wire configurations on timebase and external trigger synchronization between two function generators. Next thing to do is to connect the "External Trigger out" of the reference function generator to the "Trigger in" of the other function generator. That’s all that is needed for external wire configuration. The next step is to set the second function generator’s reference oscillator to external. This ensures that your function generators both operate off from the same timebase. Button presses: Select menu button, "System" > "Instrument Setup" > "10 MHz Ref Osc" > "Source" > "External". Once that is done, you will see a green "Ext Lock" sign on the top right-hand side of your function generator, as shown in Figure 2. Figure 2. Second function generator’s reference oscillator and external trigger setup. After setting up your reference oscillator, you will have to set up your trigger for both channels of your second function generator. This tells the second function generator to start at the same time as the first function generator. Button presses: Select Channel 1 output button and then press the "Trigger" button. Select "Trigger Setup" > "Source" > "Ext" (External). On the same screen menu level, select zero seconds delay and trigger slope on the rising ↑ edge. See Figure 2 on the external trigger menu. On the first reference function generator, just set up the trigger for both channels to manual and zero delays. Button presses: Set Channel 1 as the source of your trigger out and on the rising ↑edge. Select "Trigger" on Channel 1 > "Trig Out Setup" > "Source" > "CH1". On the same menu level, select the trigger level and trigger out ↑edge. Table 1. Pulse waveform signals set up for 4 channels. Figure 3. Example pulse setup menu for all 4 channels. At this point, if you look at all 4 channels on an oscilloscope, you will see the 4 pulse trains, but they are not time synchronized (Figure 4). All channels run independently, hence they are not initially synchronized. Figure 4. Multichannel outputs that are not time synchronized. To time synchronize all 4 channels, use the Burst mode (Figure 5). Button presses: Go to all 4 channels, Select "Burst" > "N Cycle" > "# Cycle" > "Infinite". Figure 5. Burst mode setup menu on function generator. Turn on Burst for all 4 channels. You will be prompted by a blinking light on the "Trigger" button of your Channel 1 on your first function generator. Press the button twice, and instantly, you will see 4 channels of time-synchronized pulse trains (Figure 6). Figure 6. Time-synchronized, multichannel outputs. You will also notice that each pulse width is 10 µs longer than the previous channel. You have just walked through the hardware and front panel configurations to time synchronize 4 channels. Since you can fan out the 10 MHz reference clock to up to four Keysight Trueform function generators, you can have up to 8 time-synchronized channels. Knowing how to set up time-synchronized multiple waveforms does not mean that you cannot be creative with your waveforms. Figure 7 gives you an example of simulating a 3-phase AC generator with 3 sinusoidal waveforms, 120° apart from one another. Figure 7. Simulated 3-phase AC generator 120° apart with multiple function generators. To learn more about phase, frequency, and amplitude signal coupling, please read the Effortlessly Couple or Synchronize Two Signals on a Waveform Generator application brief. I invite you to like and share if you have found this blog helpful. Thanks for reading. Have you ever encountered a scenario in which an AC voltage signal is measured on an electrical circuit that has been completely disconnected? Isn’t it confusing when voltage is measured in the dummy circuits? Stray voltage, sometimes referred to as ghost voltage, is a voltage that appears in an electrical conductor such as a wire, even though the wire is disconnected from an electrical circuit. You may spend hours troubleshooting this circuit and end up realizing that it’s a stray voltage, even though all wires are disconnected! Where do stray voltages come from? It is very common for electricians and technicians to pull extra wire when facilities or buildings are built and wired. This is just like renovating your house - you will pull extra wire from the conduit for future usage. Normally, these wires are left unconnected. These are the areas where phantom voltage will appear in the circuits. Wires left unconnected are most likely to be the areas where stray voltage will appear in your circuits. Why do stray voltages appear? Stray voltage readings can be caused by capacitive coupling of energized conductors with nearby unused wire. This capacitance increases as the length of the conductor increases. The longer the wire, the more prevalent a stray voltage. Current in an active circuit can also trigger a stray voltage reading; the higher the current in the active circuit, the higher the stray voltage. Stray voltage readings caused by active circuits can range from a few volts up to the voltage of the adjacent conductors. It should be noted that according to Underwriters Laboratories Inc. (UL), stray voltage is not real voltage and it cannot cause physical harm to a person. This is because, even though the voltages may be high, the amount of energy stored in the capacitive coupling is very low. UL also states that care must be taken to ensure that the voltage reading is a stray voltage and not a result of a cable defect or improper installation; as such a situation may result in a shock hazard. Here is an example that illustrates the overall situation. Imagine that you are installing low voltage lighting in a warehouse office, as shown in Figure 1. The warehouse is equipped with two wires running in parallel to the conduit. One is for light A, which is ON, and the other pair of wires will be used to install a new light using a new expansion cable that runs parallel with light A. Figure 1: Installation of low voltage lighting in a warehouse office. Before beginning the installation, you check the voltage on the wire using a normal handheld multimeter with high input impedance, and the measurement result shows as 40 volts even though the line is disconnected from the main switch. Now, you suspect that touching conductors has formed a short circuit, causing voltage to leak through the conductor’s insulation. You spend a lot of time troubleshooting and investigating. However, after a thorough investigation, you find that there is no short circuit to ground! The 40 volts displayed on the measurement reading is a phantom voltage reading formed by the unused wire. After all the hard work troubleshooting, you realize you have lost a lot of time troubleshooting a stray voltage. From this example, we can conclude using a normal handheld digital multimeter to measure such circuit can make it difficult for you to differentiate ghost voltage reading from legitimate readings. Most handheld digital multimeters have high input impedance compared to the impedance of the circuit being measured. The handheld multimeters with high input impedance that is greater than 1 MΩ are designed to place very little load on the circuit under test. In this capacitive coupling situation, a phantom voltage reading is measured by this high input impedance multimeter. In our example, if a low input impedance multimeter had been used to perform the AC voltage measurement, the electrician would have found virtually zero stray voltage. This is because stray voltage is a physical phenomenon involving very small values of capacitance; it cannot energize a load. Using a multimeter with low input impedance will short out the capacitive coupling effect, while using a high input impedance multimeter will not. Certain models of Keysight’s handheld multimeters, for example, the U1242C, have a unique feature: a ZLow function (Figure 2) that allows you to switch from high input impedance mode to low input impedance mode to check for the presence of stray voltages. This solution eliminates the need to carry both a low impedance meter and a high impedance meter. The ZLow function acts like a backup voltage indicator and eliminates the need to carry additional tools for troubleshooting. If a real voltage is measured using the ZLow function, the positive temperature coefficient (PTC) thermistor that is designed as an over current protection will ensure the multimeter always operates in high input impedance. Now you know how to detect stray voltages efficiently and effectively using a handheld multimeter with low impedance mode. Keysight offers different handheld multimeters that come with ZLow function that can remove stray voltages from your measurements by dissipating the coupling voltage. Use ZLow to reduce the possibility of false readings in areas where the presence of stray voltages is suspected. To learn more, download the Stray Voltage Testing Made Easy with U1272A application note. Check out Keysight.com for more info about Keysight’s handheld digital multimeters. Aside from wireless and fiber optic transmissions, in this modern digital and mixed-signal age, many of our data transmissions go through good old-fashioned conducting cables. The two most common types of cables are differential and single-ended. There are obviously pros and cons in choosing either type of cable, but differentials have many advantages over single-ended cables. Differential signaling is usually used in conjunction with tightly twisted pair wires to reduce or cancel out the generation of electromagnetic noise. Hence, it has superior signal-to-noise ratio and fewer timing errors. There is a Low-Level Differential Signaling (LVDS) standard for electrical transmission and communication protocols that are used in very low voltage and sometimes high-speed data transmissions such as video, graphics, and digital data bus transfers. Other applications include transmitting sensitive analog signals with audio microphones and medical heart monitoring devices. What is a Differential Signal, and How Do I create a Differential Signal? Figure 1 below shows two complementary signals (one signal inverted from the other) being used to create a differential output transmission signal. Here’s how to create differential signals for testing. Figure 1. Differential output derived from two complementary signals (out+/out-). Step 1: Use a function generator to create the first of your two complementary signals (out+/out-). For example, create the (out+) signal on Channel 1. Step 2: Select Dual Channel Inverted Tracking mode (see Figure 2). As a result, Channel 2 will output an identical, but inverted, signal of Channel 1 (out-). Both signals will be amplitude and phase synchronized. Figure 2. Differential channel output function generator setup on a Keysight Trueform function generator. Step 3: Combine the differential outputs. To physically combine the two channels into a single differential output, connect the two common connections (the connector shells) of both channels together. Use the middle signal pin of Channel 1 as the high signal path of the differential signal, and use the signal pin of Channel 2 as the inverse return path. Then connect a twisted pair cable to signal pins of Channel 1 and 2, as shown in Figures 3 and 4. Figure 3. Differential signal block diagram. Figure 4. Function generator setup based on block diagram. On the other end of the twisted pair cable, connect the signal pin of Channel 1 to the signal pin of the receiver’s BNC connector (Differential Signal Input) and the signal pin of Channel 2 to the ground connector shell of the receiver’s BNC (Figure 4). Why and When Do You Use Differential Cables? What Type of Function Generator Should You Use to Simulate Differential Signals? Use a function generator with “inverted tracking mode” to create an inverted mirror image of a signal. The signals on both channels will then be perfectly balanced pairs with synchronized amplitude, offset, and phase. Make sure the lengths of your differential twisted pair wires are matched too. Consider using an arbitrary function generator and its ability to reproduce actual signals from your design. You can quickly recreate your design signal by capturing it with a modern oscilloscope, then saving the captured trace to a .csv file. At this point, you can use a USB thumb drive to import the data in the Waveforms > Arbs menu of your function generator to recreate and playback the signal from your design. You can even change your signal’s frequency, amplitude, or offset. After recreating your signal, you can use the Dual Channel Inverted Tracking mode to recreate the output as a differential signal. Differential signals are not limited to basic function generator signals such as periodic pulse, sine, square, and ramp signals. A lot of applications need complex waveforms, such as ECG bio-signals for medical applications, automotive CAN bus test signal simulations, telecommunication network test signals, and more. Keysight’s Trueform function generators provide software tools such as BenchVue Waveform Builder (see Figure 5) and a built-in waveform editor to create your arbitrary waveforms. You can also use tools such as Excel or Matlab to create your arbitrary waveforms and transfer them into your function generator via .csv file format. Figure 5. BenchVue function generator app to create arbitrary waveforms. If timing of your signal is very critical, differential signaling is a better option than single-ended signaling since it eliminates the uncertainties of transition crossover points. This takes care of jitter noise from cable transmission. Figure 6. Trueform technology, shown on the left, has significantly better jitter performance compared to conventional DDS technology. Sometimes, you need an ideal signal with low noise, low distortion, and high signal integrity for your tests. However, at the same time, you want to introduce a controlled imperfect signal with noise for your tests. Figure 7. Adding variable bandwidth noise to signal for testing. You can see that it’s easy to create differential signals if you have the right function generator. Choosing a function generator that has built-in differential capabilities will streamline your testing and ensure your signal’s phase and amplitude stay balanced. To get better at using your function generator in the lab, download the Creating Differential Signals with a Waveform Generator application brief. Visit Keysight.com for more information on Keysight’s Trueform function generators. As the world continues to trend toward increased energy savings and green energy sources, more and more heavy machinery and vehicles are becoming electrified. Mechanical combustion engines are being replaced by electric motors as part of this technology trend. As these demands accelerate, higher expectations for reliable and safe power are spurring engineers to put all their brain power into coming up with the most efficient product designs. The last thing that R&D engineers want is to mess with the power supply reliability and create a potential safety issue. Today’s system DC power supplies incorporate a variety of features to protect both the device under test (DUT) as well as the power supply itself from damage due to a fault condition or setting mishap. Over voltage protect (OVP) and over current protect (OCP) are two core protection features that are found on most system DC power supplies to help protect against power-related damage. But is that all that you need to know? In this blog, we will also discuss power protection on your devices that do not operate on fixed voltage and current levels. Over voltage protect helps ensure the DUT is protected against power-related damage in the event the voltage rises above an acceptable range of operation. As over voltage damage is almost instantaneous, the OVP level is set at reasonable margin below this level to be effective; yet it is set suitably higher than the maximum expected DUT operating voltage so transient voltages do not cause false tripping. Causes of over voltage conditions are often external to the DUT. Over current protect helps ensure the DUT is protected against power-related damage in the event it fails in some fashion, causing excess current, such as an internal short or some other type of failure. The DUT can also draw excess current by consuming excess power due to overloading or from an internal problem that causes inefficient operation and excessive internal power dissipation. OVP and OCP are depicted in Figure 1 below in an example DUT that operates at a set voltage level of about 48V and uses about 450W of power. In this case the OVP and OCP levels are set at around 10% higher to safeguard the DUT. Figure 1. OVP and OCP settings to safeguard an example DUT. However, not all DUTs operate over a limited range, as depicted in Figure 1. Consider, for example, that many (if not most) DC-to-DC converters operate over a wide voltage range while using relatively constant power. Similarly, many devices incorporate DC-to-DC converters to give them an extended range of input voltage operation. To illustrate with an example (see Figure 2), consider a DC-to-DC converter that operates from 24 to 48 volts and runs at 225 W. DC-to-DC converters operate very efficiently, so they dissipate a small amount of power and the rest is transferred to the load. If there is a problem with the DC-to-DC converter that causes it to run inefficiently, it could be quickly damaged due to overheating. While the fixed OCP level depicted here will also adequately protect it for over power at 24 volts, you can see that it does not work well to protect the DUT for over power at higher voltage levels. Figure 2. Example DC-to-DC converter input V and I operating range. A preferable alternative would be to have an over power protection limit, as depicted in Figure 3. This would provide an adequate safeguard regardless of the input voltage setting. Figure 3. Example DC-to-DC converter input V and I operating range with over power protect. Since an over power level setting is not a feature that is commonly found in system DC power supplies, this would then mean having to change the OCP level for each voltage setting change, which may not be convenient, desirable, or in some cases, practical to do. However, in the Keysight N6900A and N7900A advance power system DC power supplies, it is possible to continually sense the output power level in the configurable smart triggering system. This can then be used to create a logical expression to use the output power level to trigger an output protect shutdown. 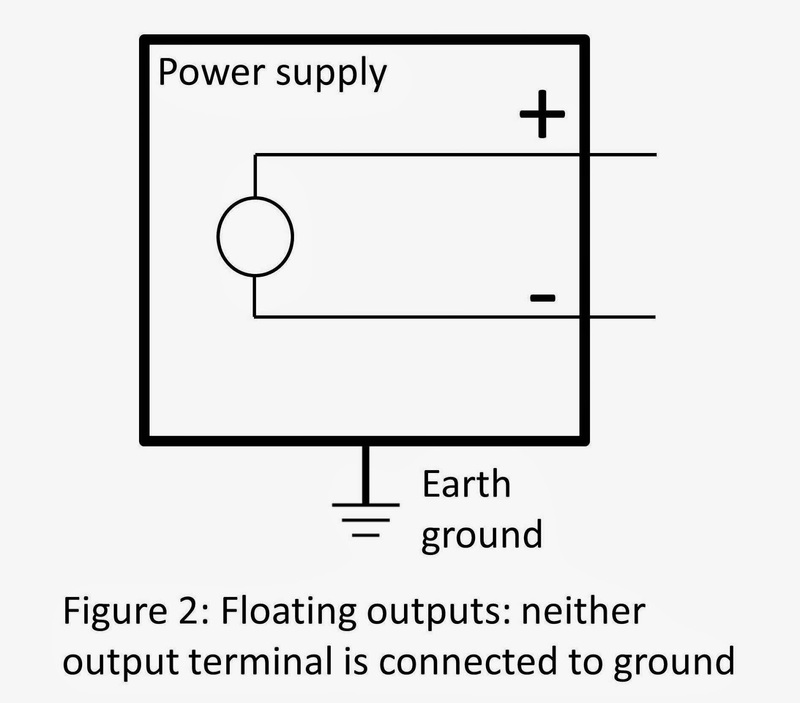 The N7906A software utility was used to graphically configure this logical expression, and then it was downloaded it into the advance power system DC power supply, as shown in Figure 4. Since the smart triggering system operates at hardware speeds within the instrument, it is fast-responding, an important consideration for implementing protection mechanisms. Figure 4. N7906A software utility graphically configuring an over power protect shutdown. A glitch delay was also added to prevent false triggers due to temporary peaks of power being drawn by the DUT during transient events. While the output power level is being used here to trigger a fault shutdown, it could just as easily be used to trigger a variety of other actions. We have discussed that advance system power supplies can provide over voltage and over current protection as well as protection for over power conditions. For more information on protection against power related damage, download the Protect Against Power-related DUT Damage During Test application note. Electronics are often designed to work anywhere in the world with local power. An AC source can create the various voltage-frequency combinations used in different countries and even measure the current and power consumption. Figure 1. A power supply that accepts 100 Vac to 240 Vac. You can automate the process using Visual Basic for Excel to program an AC6801B AC source. Excel lets you capture and share results in a neatly organized table. In this example, we chose eleven countries to demonstrate the wide variety of voltages and frequencies used around the world. Some countries use multiple voltages and plug types, and those displayed are selected to illustrate a broad range. The table is easily modifiable, and you can add more countries by increasing the rows as well as the country count in cell D6. Figure 2. An example table of various voltages and frequencies. Row number and column letter shown in red. The Visual Basic program reads the voltages and frequencies from the table and sets up the AC source to output them. The program pauses for the number of seconds provided in column F, allowing the test device to settle. The AC source then makes several measurements and adds them to each row of the table. Figure 3. The AC source output is set to 100 Vac at 50 Hz. Three measurements are added to the table after the delay. The process is repeated for each country. If you are not currently using Visual Basic for Excel, you need to display the developer tab. It is included in Excel but is not shown by default. You can find instructions online for adding the tab to the version of Excel you use. The second step is adding Keysight IO Libraries Suite. In this example, all the commands are sent to the AC source using the Keysight IO library. With the software installed, open the developer tab and create the global variables. Figure 4. Opening the VBA project and creating the global variables. The following subroutine creates a connection to communicate with an instrument based on its VISA address. The VISA address is read from the table, making it easy to update. You can use the Keysight Connection Expert, which is installed with the IO Suite to read the instrument address. Watch this YouTube video to see the steps to locate the instrument VISA address and verify the connection. Figure 5. Subroutine to open a connection to the instrument. You can insert a button onto the spreadsheet (Developer > Insert > Form Control > Button). You are then prompted to add the name of the subroutine that will run when the button is clicked. Figure 6. The spreadsheet with the first two controls and the LXI address. The subroutine initConfig_Click() has three primary roles: to clear the AC source, to configure DUT protection, and to select the upper range and turn on the AC source with a known voltage. Once the instrument is reset, it is set to output only AC voltage, and the voltage is limited by a min and max value. Obviously, overvoltage can cause damage to a device, but too low a voltage is just as harmful. In the case of a power supply, too low a voltage leads to higher current to meet the power needs of the load. In addition, a current limit is set to protect the DUT from damage due to excessive current. The time required to run the test is reduced by using a single range. The AC6801B is a dual range source and provides additional current in its low range. For our device, the upper range has enough current to test the device. Lastly, a voltage-frequency combination is selected, and the output is turned on. The primary goal of this program is to demonstrate some of the AC source’s capability. With the output turned on, the AC source displays measurements on the front panel. Figure 7. Subroutine to put the AC source in a known state. The createSequence_Click() subroutine populates the table with the power measurements for each country. It uses the number specified in cell D6 to determine the number of loops necessary to complete the table. In each loop, the voltage-frequency is pulled from the table, and the source is set to output the combination. The power measurements are made after the delay in column F, which allows the device to adjust to the new voltage and frequency. Three power measurements were selected from a choice of 17 different measurements. As each measurement is made, the results are added to the table. Figure 8. Subroutine to apply the voltage-frequencies from the table and populate the measurements. Closing the instrument connection releases the resources. Once the connection closes, an error is generated if you attempt to send commands to the instrument. Figure 9. Closing the instrument connection. The read error subroutine is useful while creating or modifying a program. It pulls the error strings from an instrument one string at a time. You may need to run it multiple times to clear all the errors. It is designed to run independently of the rest of the program. It assigns resources, opens the IO, and then closes the IO. Figure 10. A subroutine to query the error strings. The universal adapter test program is designed to demonstrate some of the AC6800 Series capabilities and a method to document the measurements using Excel with Visual Basic. Adding a main program to call each of the subroutines simplifies the program because it’s not necessary to connect each routine to a separate control button. The program ran many times over a two-week period using the AC6801B, and the results are repeatable. Often the results are identical when formatted to show a single decimal place. The program is easily modifiable to make additional measurements. A couple of real-world applications are to characterize a group of power supplies and statically determine the max power usage or verify results from a remote facility. Using a second AC source, it is easy to reproduce results with a production facility located on the other side of the globe. A search of the internet provides articles and videos showing the general operation of a synchronous motor. I thought it would be interesting to make some actual measurements and display some real-world voltage and current waveforms. I was fortunate to find a synchronous motor that had external wiring to its two coils, allowing independent characterization of each coil. The motor is small, but the characterization would scale to a larger motor. An AC signal powers a synchronous motor. It uses the positive/negative power cycle to create a changing magnetic field. Our motor uses two coils that are 90 degrees out of phase. The fields change such that the magnetic rotor turns to keep aligned with the fields. Synchronous 3-phase motors are popular due to the simplicity of using each phase to create a rotating field. You can view many good animations of how a synchronous motor works on the internet. Figure 1. A drawing of a synchronous motor with two coils. The colors represent the colors of the motor leads. The AC source causes the motor to rotate at a rate proportional to its frequency (typically measured in Hz). Our example motor is powered by a 60 Hz AC signal and rotates at 3600 RPMs. The synchronous motor can turn in either direction. It starts turning toward the attracting magnetic force, which could be either of the coils depending on its configuration. A minimum voltage is required to create a magnetic field strong enough to cause the rotor to spin. Once spinning, the AC source voltage does not affect the speed of rotation. Figure 2. Changing the location of the AC source to cause a different direction of rotation. I wanted to characterize the voltage and current through each coil. I used our PA2201A power analyzer to characterize each coil. Each channel of the power analyzer has an input for voltage and an input for current. It can make measurements of each input or measurements that combine two inputs. While not shown in Figure 2, I added a switch to connect the AC source to coil A or coil B. Figure 3. An electrical drawing of the motor with a power analyzer connected. The power analyzer connections are color-coded. Channel 1 is yellow and Channel 2 is green. The AC6801B AC source supplies the 110 VAC input power. The AC source will characterize all the power parameters for the motor. We can also vary the frequency of the input voltage. We will start with the AC source connected to the coil A as well as channel 1 of the power analyzer, shown in Figure 3. We expect to see the 110 V on channel 1 (top yellow waveform) of the power analyzer. Notice the coil B voltage shown on channel 2 (top green waveform) lags channel 1 almost perfectly by 90 degrees. Figure 4. Screen capture from the PA2201A. The display is split into three parts: the top is voltage, the middle is current, and the bottom is power. Yellow waveforms represent channel 1, coil A, and green waveforms represent channel 2, coil B.
I do not work with inductors and capacitors every day and was surprised that coil B receives much more current and power. If you look at the equations for reactance, it makes sense. The capacitor reduces the reactance X in the branch with coil B, X = XL - XC. More current flows through this branch, which creates more voltage across coil B. Figure 5. The diagram shows the reactance through each branch of the motor. Figure 6. Measuring the power of channel 1, coil A, and channel 2, coil B, with PA2201A power panels. The AC source is measuring the input to the motor, which is consuming 0.05 ARMS, 5.1 W, and 5.4 VA. Coil B uses most of the energy. I was also surprised to learn the coil's reactance is nearly 50% resistive, 50% inductance. A phase angle ɸ of 45% or power factor PF .707 would be precisely a 50% mix, and the measurements were only slightly more inductive. You can see the phase angle (the delay between voltage and current) in the Figure 6. Lastly, I had expected the current waveforms to be more sinusoidal. In reality, the motor acts as a transformer and sends energy between the coils. If I remove the capacitor, you can see 50 V across coil B; No current flows, as I left the branch open. Figure 7. With the capacitor removed, the motor can turn in either direction. Energy in coil A creates a voltage on coil B. On the left, the motor is turning in a counterclockwise direction (normal), and on the right it is turning clockwise. Notice in the first case, the coil B voltage (shown in green) lags, and in the second it leads. Applying the source voltage to coil B instead of coil A causes the motor to run in the opposite direction. Figure 8. Applying the source voltage to coil B, which causes the motor to turn clockwise. Figure 9. Measurements of the two coils with the source connected to coil B. The coils are not perfectly symmetrical, as the power through each branch is a bit lower than in the counterclockwise setup. Using the AC source, the overall power measurements are also lower, reduced to 4.8 and 5.1 VA. You will notice the voltage in coil B, green waveform, leads coil A. You can compare Figure 9 and Figure 6 to see the differences. The AC source can vary its frequency from 40 Hz to 500 Hz. Changing the frequency of the source affects the speed of the motor. It also changes the impedance of the circuit, as the reactance of the capacitor and inductors are a function of frequency. Figure 10. The waveforms on the left were captured with a source frequency of 40 Hz, and on the right the source frequency was increased to 80 Hz. I was impressed with the motor’s overall power factor. The AC source measured the PF to be 0.94. Earlier, we measured the current through each branch of the circuit. The total current consumed by the motor is a point-by-point summation of the two current waveforms (i.e., the sum of the current through each of the coils). A PF of 0.94 indicates that the summation has nearly identical phase to the input voltage. The power analyzer can sum the two current waveforms and display them overtop the input voltage. Figure 11. The pink waveform represents the total current used by the motor. It is a mathematical summation of the current waveforms shown at the bottom of the screen. As you can see, the system has a PF near 1.0, as the input current and voltage have nearly identical phase. The capacitor used with our motor is considered a run or permanent split capacitor, as it maintains the 90-degree shift in the coil voltages. People sometimes generically refer to a capacitor used with a motor as a start capacitor. A start capacitor is disconnected by a switch once the motor starts spinning. To overcome the difficulties in changing the speed of our single-phase motor, the manufacturer added a gearbox so it spins at 33.3 RPMs. The AC6801B AC source made it easy to supply the required AC power (110 VAC at 60 Hz) while making power measurements. The measurements include current, real power, apparent power, reactive power, and power factor. The PA2001A was used to characterize the voltage and current through each coil.